Cardiff puts them in control of the race for automatic promotion, and with struggling Reading at home next week they look likely to finish the job. Fulham have to visit Birmingham, who like the Royals aren’t mathematically safe and should be taking nothing for granted. 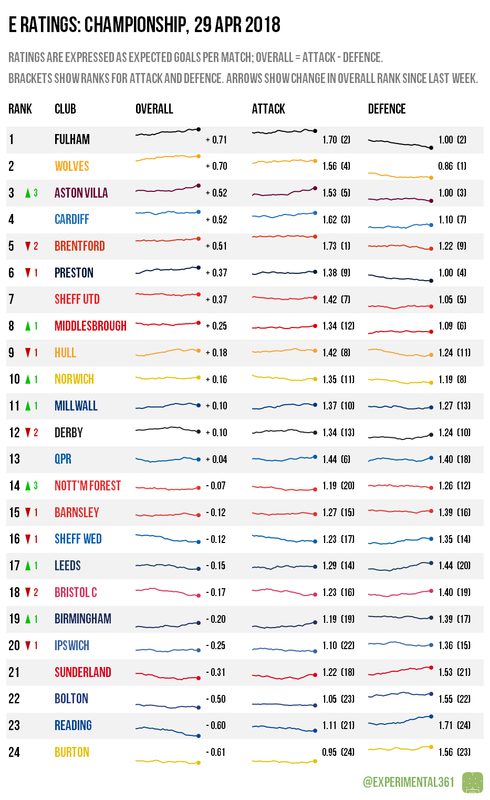 The relegation picture is the most compelling in the EFL, with five teams scrapping to avoid two slots on the final day. 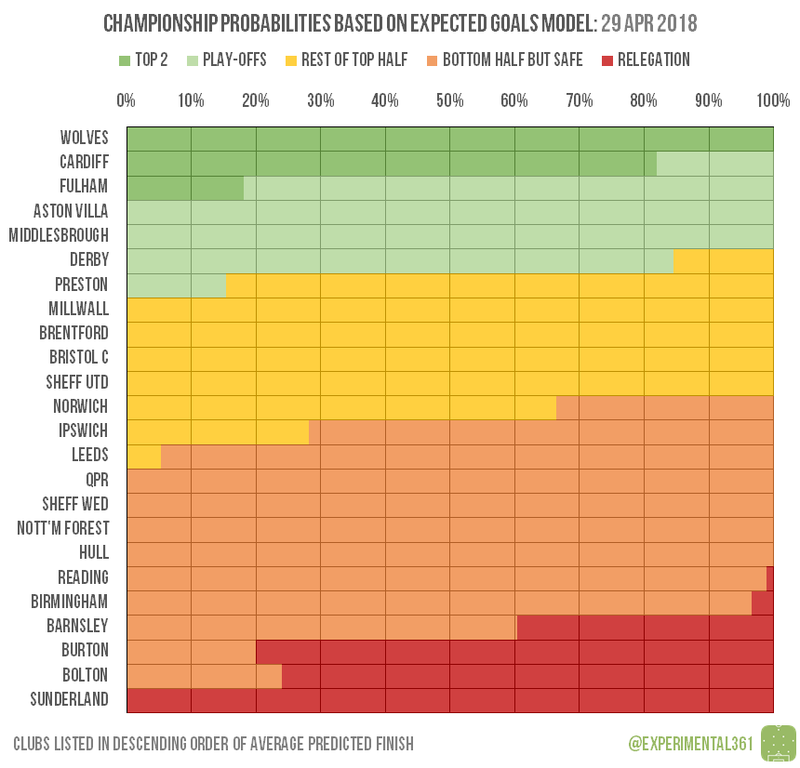 For Burton to complete their great escape they need to take something off a Preston side who will be going all-out to sneak past Derby and into the play-offs, while the Rams themselves have the Brewers’ fellow relegation battlers Barnsley to deal with.